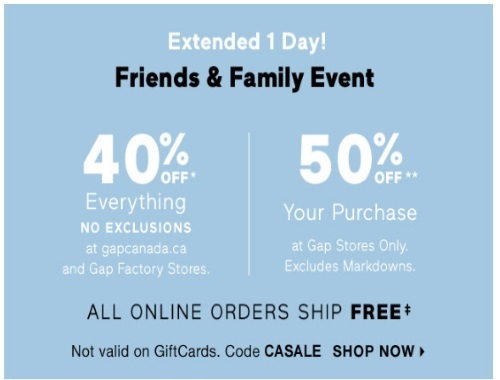 Gap has extended their Friends & Family Event one more day! Get 40% off online with no exclusions or 50% off in-store excluding markdowns. Enter the promo code CASALE at checkout or mention the discount in-store to get it. Offer is valid today only, Monday, August 7, 2017.